This dog doesn’t fit in! Could it be because . . . it’s a CROCODILE? Mr. Roger loves dogs—and he has lots of them. But there’s something a bit off about his latest pet pooch. Unlike the others, this one won’t learn to collect the paper properly or fetch a ball. Instead, the strange, snappy, and greedy (but good-natured) beast is causing chaos all around town. What Mr. Roger doesn’t realize is that his pup is really a croc! This hilarious picture book will have sharp-eyed kids laughing nonstop. 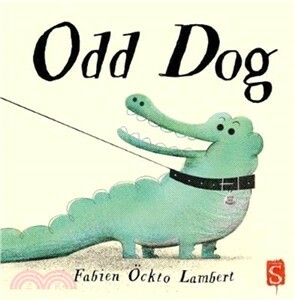 Fabien Lambert is a graphic designer, illustrator, and writer of children’s books. He lives in Nantes, France.